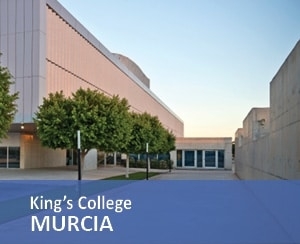 King’s College, The British School of Murcia is an international school that delivers a British education, providing students with the opportunity to become open-mined, creative and well-prepared for the life ahead of them. 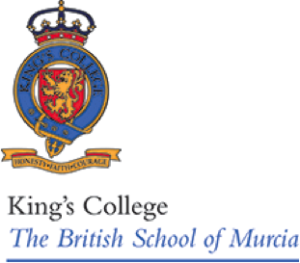 In addition, to providing a British education, The British School of Murcia delivers Spanish and C.C. Sociales classes, which are compulsory aspects of Spanish education. Students join the school from Nursery and leave the school having sat their University entrance exams. Classes for the youngest children are taught in a purpose built school adjacent to the main building and follow the English National Curriculum. All teaching staff at The British School of Alicante are qualified and experienced with the British curriculum, guaranteeing that your child is in the best of hands in relation to successfully progressing through the British educational system. The British School of Murcia offers students the chance to sit all highly regarded British pre-university exams, which include IGCSEs and A-Levels. To ensure the benefits of a bilingual education, Spanish at IGCSE is compulsory. At King’s College, we are proud of our consistently high pass rates in official examinations leading to an excellent record of University entrance. The school has an experienced Careers and University Entrance Advisory department which offers pupils extensive help and advice when applying for Higher Education, whether in the UK or in the rest of the world. Recent University destinations include: University of California, Berkley, The University of Reading and the Universidad de Murcia. Not only are we proud of our academic record, we are also extremely proud of our inspection record. Our most recent inspection awarded us excellent and good in every category, a testament to the hard-work of our staff and pupils. Furthermore, students have access to excellent facilities throughout including a large multi-purpose hall, tennis courts, a football pitch as well as top-of-the-range ICT and Science facilities.